Warrick County – Early this morning at approximately 2:05, Trooper Otolski was patrolling Frame Road near Bice Lane when he stopped a 2002 Pontiac Grand Am for a license plate light violation. Otolski also noticed that the expiration year sticker had been altered. 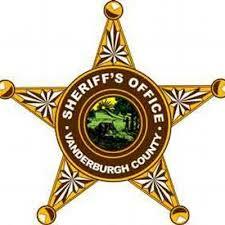 The driver was identified as Ashley A. Kratzer, 23, of Newburgh. Further investigation revealed Kratzer was wanted out of Warrick County for an outstanding warrant and the vehicle had been reported stolen out of Evansville. A search of the vehicle discovered drug paraphernalia. Kratzer was arrested and taken to the Warrick County Jail where she is currently being held on bond.